it was somewhat strange, and a little sad, to be making Mother's Day cards this year. 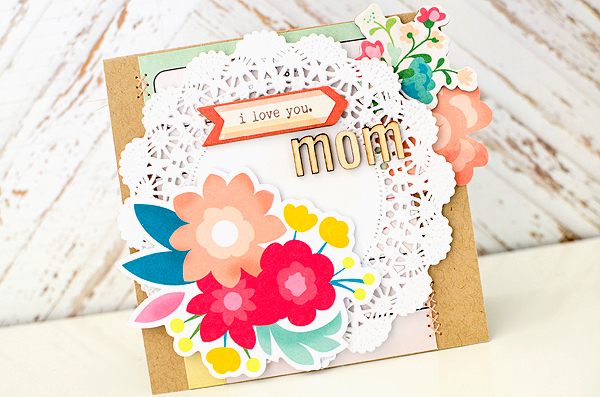 my mom is always my first thought on this day and even though she isn't with us anymore, she was still very much on my mind when i was making these cards. 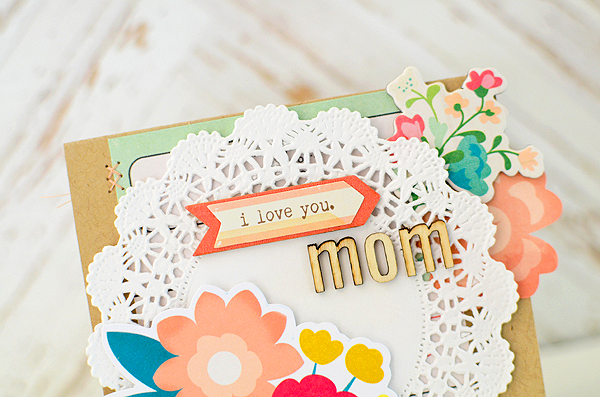 i do have other "moms" in my life, luckily, so these cards will still find a nice home. 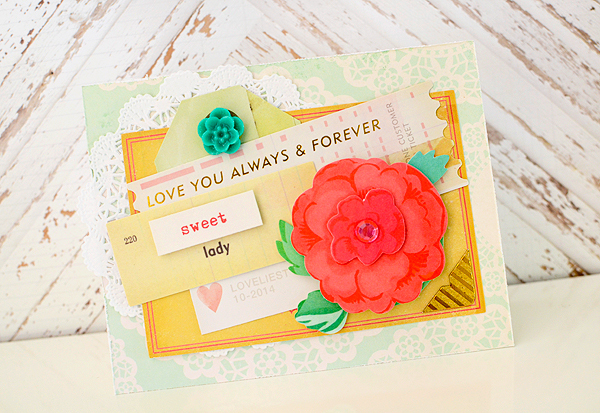 this card was made from Crate Paper's Styleboard and i used Oh, Darling on the first one. 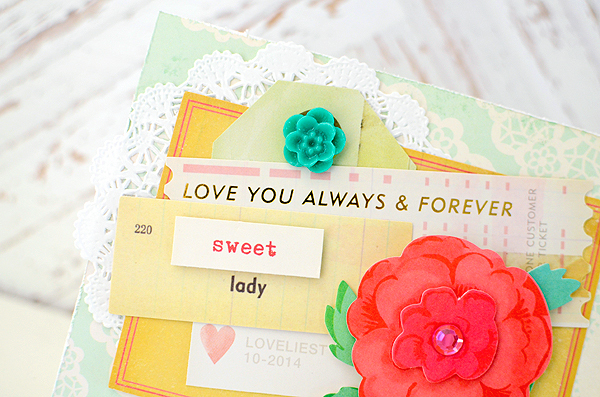 each card features bold floral pieces and sweet sentiments. as i said, my mom still inspires me and she loved to spend time in her garden, especially at this time of year. 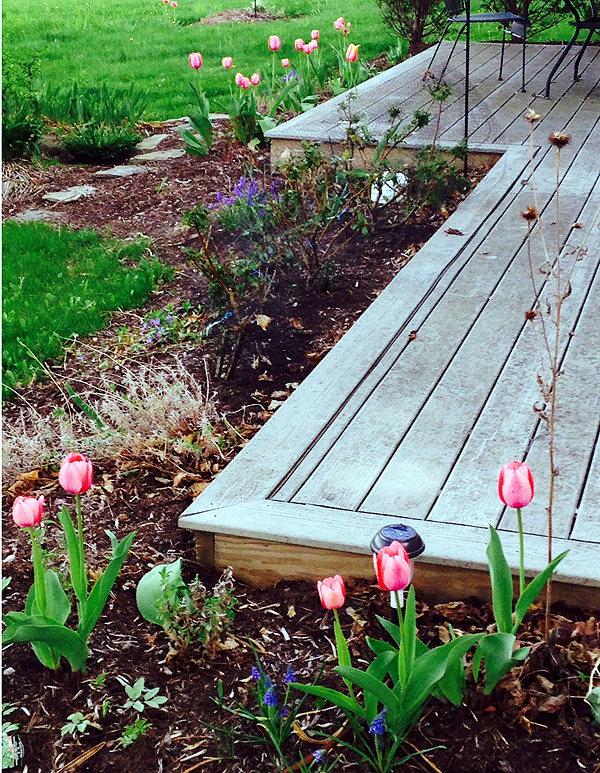 last week, my dad sent me a photo of some tulips that were blooming in her garden. i know he hasn't really felt like getting outside much or taking care of her flowers. i think it's too difficult for him to do at this point, since the garden is such a tremendous reminder of her. other years, in the spring, he would be out there helping her, and i think that's why he really can't do it now. but he sent me a picture of her lovely flowers and i told him that she made them happen...wherever she is, she's alive in her garden. and i think that's true. on another note, it's been a difficult few days in my hometown of Penn Yan, NY. on the night of May 13th, they were hit with a tremendous storm that caused flash flooding and severe damage to many homes, roads, and businesses. the awful thing is that so many people lost a lot. the good thing is that no one was hurt. the wonderful thing is that it's a small town and a tight knit community. people have been tirelessly working to help their neighbors dig out from the mud and clean up their homes. people are going door-to-door delivering food, water, and cleaning supplies to those who have been affected. when i look at pictures of the damage, it's surreal and sad to think it's the same beautiful place where i grew up because it looks so different. but i am incredibly proud to come from a place where everyone pulls together to help each other after a time like this. it is a truly wonderful thing to see in the midst of such devastation. here is a link to photos of the damage...it doesn't seem possible that this picturesque little town is the setting for this disaster...but again, we cannot be thankful enough that no one was seriously hurt. take care of yourselves, folks, and thanks for stopping by! Your cards are wonderful, so pretty and I always love your details. I can imagine that this one was a tough one for you...Father's Day is like that for me. Hang in there...thanks for all of your inspiration!